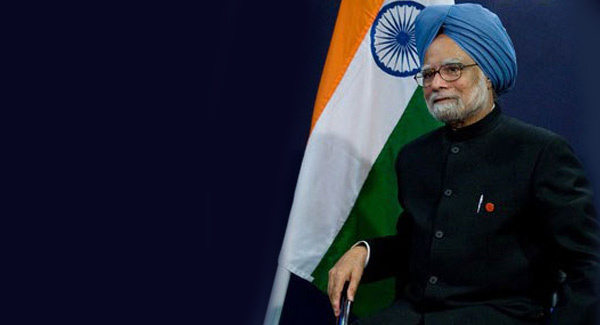 Prime Minister Manmohan Singh justified some of the decisions taken by the UPA government, especially the move to allow Foreign Direct Investment in multi-brand retail and the steep hike in diesel, in a televised address on Sept 21. At the same time, it is the responsibility of the government to defend the national interest and protect the long term future of our people. This means that we must ensure that the economy grows rapidly and that this generates enough productive jobs for the youth of our country. Rapid growth is also necessary to raise the revenues we need to finance our programmes in education, health care, housing and rural employment. We import almost 80 per cent of our oil and oil prices in the world market have increased sharply in the past four years. We did not pass on most of this price rise to you, so that we could protect you from hardship to the maximum extent possible. As a result, the subsidy on petroleum products has grown enormously. It was Rs 1 lakh 40 thousand crore last year. If we had not acted, it would have been over Rs 200,000 crore this year. We raised the price of diesel by just Rs 5 per litre instead of the Rs 17 that was needed to cut all losses on diesel. Much of diesel is used by big cars and SUVs owned by the rich and by factories and businesses. Should the government run large fiscal deficits to subsidise them? We reduced taxes on petrol by Rs 5 per litre to prevent a rise in petrol prices. We did this so that the crores of middle class people who drive scooters and motorcycles are not hit further. On LPG, we put a cap of 6 subsidised cylinders per year. Almost half of our people, who need our help the most, actually use only six cylinders or less. We have ensured they are not affected. Others will still get six subsidised cylinders, but they must pay a higher price for more. The total subsidy on petroleum products will still be Rs 160 thousand crore. This is more than what we spend on Health and Education together. We held back from raising prices further because I hoped that oil prices would decline. We should also remember that the opening of organised retail to foreign investment will benefit our farmers. According to the regulations we have introduced, those who bring FDI have to invest 50% of their money in building new warehouses, cold-storages and modern transport systems. This will help to ensure that a third of our fruits and vegetables, which at present are wasted because of storage and transit losses, actually reach the consumer. Wastage will go down; prices paid to farmers will go up; and prices paid by consumers will go down. The growth of organised retail will also create millions of good quality new jobs. In 1991, when we opened India to foreign investment in manufacturing, many were worried. But today, Indian companies are competing effectively both at home and abroad and they are investing around the world. More importantly, foreign companies are creating jobs for our youth — in Information Technology, in steel and in the auto industry. I am sure this will happen in retail trade as well. In the past eight years, our economy has grown at a record annual rate of 8.2 per cent. We have ensured that poverty has declined much faster, agriculture has grown faster and rural consumption per person has also grown faster. We need to do more and we will do more. But to achieve inclusiveness we need more growth. And we must avoid high fiscal deficits which cause a loss of confidence in our economy. We have much to do to protect the interests of our nation and we must do it now. At times, we need to say “No” to the easy option and say “Yes” to the more difficult one. This happens to be one such occasion. The time has come for hard decisions. For this, I need your trust, your understanding and your cooperation.